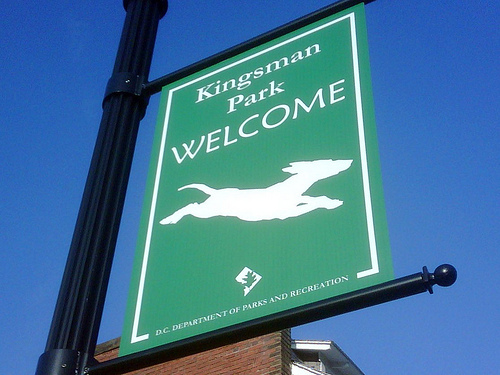 The Kingsman Dog Park is located at 14th Street and Tennessee Avenue, NE. Kingsman Dog Park will open to the public at 5:00 pm this Friday, March 25th. To celebrate, please join us for an informal get-together from 5-7 pm at the new park. We invite everyone to come by, take a look around, play a little fetch and make some new friends from the neighborhood. Members of the Hill Hounds Steering Committee will be there to answer questions about the park and to hand out free treats to your very patient pooches. The park will be open until 10:00 pm on Friday. Starting on Saturday, March 26th, the park will be open from 7:00 am to 10:00 pm every day of the year.